 Stroformance was founded by David Stroshine, the foremost authority on speed and power development. His credentials include training thousands of amateur and professional athletes including many from the NFL, NBA, and MLB. During his 11 year career he has worked with First Round draft picks, Pro Bowlers,and All Pro’s. He has been published and featured in Stack Magazine, The Bleacher Report, CBS Sports Network, and NBC Sports. At Stroformance our team is committed to giving every athlete a great experience. We embrace science as we continue to innovate and integrate new methodologies. We're educated, creative, and certified and our mission is to empower young athletes, to not only maximize their physical potential, but also instill within them the qualities of self-reliance and integrity that will serve as a foundation to becoming future leaders. Stroformance is located in Orem and access is granted either by a referral or invitation. "I played professional basketball for 16 years so I know what it takes to get to the next level, and Dave is the best performance coach in the business. " Having courage to be yourself in a world that is constantly trying to make you something else is a great accomplishment in and of itself. At Stroformance, our goal is to provide an experience, and encourage a mindset, that ensures every athletes leaves each training session feeling confident in who they are and what they represent. We will cultivate self-confidence, independence and a sense of responsibility, equipping our athletes with tools that not only help them succeed in their sport, but also prepare them to be for an active and positive role-model in an ever-changing world. Unfortunately, today’s intense pressure to excel can push some athletes to rely upon performance enhancing drugs to try and give them an immediate competitive edge. This is a pitfall for too many young athletes. Sustained, healthy athleticism cannot, and never will, be achieved by taking shortcuts – chemical or otherwise. At Stroformance, we want our athlete’s to learn to achieve success the right way – with honest hard work and determination. While the road to success is never an easy one, by choosing to train with integrity, your achievements magnify who you are both on and off the field of competition. Discipline becomes a key value in shaping our future and controlling our destiny. Success can only be achieved by consistency with purpose and we must attack each day with this passion and excitement. Successful athletes do not allow themselves to get derailed by negativity and failure. This mindset largely determines who we are and what we will become, and the degree of commitment you give to the program will ultimately determine your level of success. Those who achieve greatness in life are not defined by their individual accomplishments only, but also by the way they share what they’ve learned and give back to others. When the world is telling you how great you are and that you “have arrived”; the Stroformance athlete is not concerned about the awards and accolades, but rather is thoughtful about how they can use their celebrity status to give back, share their success, and make their community a better place. Leadership does not require you to be the best, but rather a desire to help others around you to be their best. As such, anyone has the potential to be a great leader. Stroformance has created a culture where athletes not only realize their full potential athletically, but also gain a deeper understanding of their leadership qualities and capabilities. By the time an athlete graduates Stroformance; they will understand key principles necessary to accomplish success in all areas of their life. Our leadership mantra is: We will lead by example, we will show compassion to others, and we will excel with humility. "We met Dave in 2005 and have been leaning on his expertise ever since. Tyler and T.J.’s noticeable improvement in their overall movement and explosiveness under Dave has been key to their success." ...all under the direction of David Stroshine who has worked with thousands of athletes including those from the NFL, NBA, and MLB. Programs focus on building strength and power, while improving speed, quickness and jumping ability. Program also improves mobility, stability and flexibility to decrease injury potential. Stroformance takes an innovative approach to maximize your ForcePower score and improve overall athleticism. Workouts are 90-minute with great attention paid to proper technique and safety. This 10 week training program will focus on STROformance's revolutionary circuit training that combines strength, power, mobility, and flexibility into a set of exercises that can burn up to 900 calories in a single session. David Stroshine has trained athletes whose contracts total more than $350 million. We understand the importance of maximizing the athletes earning potential and keeping the athletes performing at an elite level. At Stroformance, we utilize the finest scientific training methods to maximize your ForcePower score. All of this is done to maximize athletic performance and increase career longevity. Optimum results start with proper fueling, improving movement quality, and developing the type of power, strength, speed, and agility it takes to be an impact player at the professional level. We have experience preparing a seasoned All-Pro for a record-breaking season, as well as preparing the un drafted rookie, to not only compete, but succeed and make the 53 man roster. Performance in any single Pre Draft event is as much a measure of skill as much as it is a measure of athletic ability. Each combine event is video analyzed to detect flaws in technique and movement so that strategies for improvement can be determined. You have one shot to show all 32 NFL teams your worth an investment. Stroformance will give you the techniques, and program design that will maximize your Combine or Pro Day results. On-Court training is basketball specific agility and jump training. You will improve your vertical, speed, and quickness through creative resistance drills and exercises, all while dribbling and shooting a basketball. Our On Court training will help you take your game to the next level! On Court training is seasonal and scheduled by appointment only. Are you ready to look good, feel good, and move better? Strofit is a mix of resistance training, cardiovascular fitness, & elite performance training. Your certified coach will train you using battleropes, kettlebells, TRX’s, vibration plates, slideboards, and other fun, cutting edge equipment. You will receive a full body workout that will burn fat, improve body composition, and jump start your metabolism. The combination of fueling your body right, and training will maximize your results, and give you that body you have always wanted. Strofit will be the most fun you can have with your clothes on. time, got better, and learned a ton!" The therapists at Stroformance specialize in an aggressive muscle massage technique shown to increase performance, enhance stamina, and speed healing. This specialized technique is currently being used on such NFL players as Tom Brady, Haloti Ngata, Troy Polamalu, and more. It not only focuses on repair but actually changing muscle memory patterns. The end result is to get all muscle groups working together at peak performance, all while breaking down scar tissue and avoiding tightness, tears, strains, and activities. If you’re interested in maximum performance, faster recovery times, and more lasting healing, I have a massage solution that can be custom tailored to your need regardless of your sport or level of play (high school to professional). ...encompassing a complete evaluation of the injury and surrounding areas, looking for deficiencies and weaknesses that could have factored in to the injury taking place. These services are available to high school, collegiate, and professional athletes, as well as everyday people looking to bounce back from injury or surgery in the most efficient and effective manner. The simple truth is that nutrition coaching is almost completely missing in fitness and sports. Elite Fueling is working hard to give you the missing link. It’s true, exercise alone doesn’t work. It’s also true that diet alone doesn’t work. It’s also true that diet alone doesn’t work. You need both working harmoniously together to achieve the true results your desire. We have found that when you link exercise and nutrition together you will achieve exponential results. We invite you to explore Elite Fueling and our philosophy, apply our scientific principles and get the results you deserve. "There is no question that I would not have made it to this point of my career if it wasn’t for Dave and his high-performance training. I would recommend Dave to anyone who wants to be faster, stronger, or quicker." What are your goals? Choose a Program that fits your needs. Set up an assessment to develop a plan. Start down your path to success. Get in touch today.